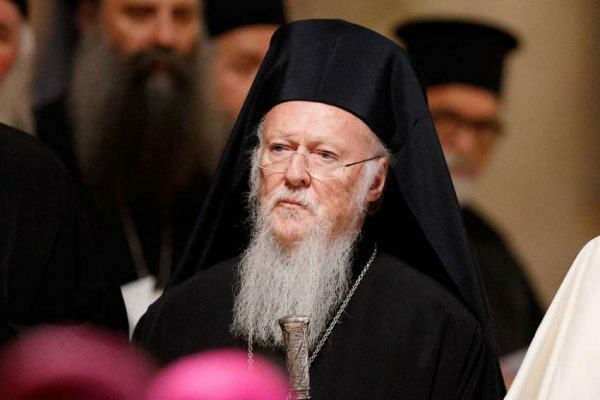 VATICAN CITY – Knowing the debate surrounding Pope Francis' apostolic exhortation on the family, Orthodox Ecumenical Patriarch Bartholomew of Constantinople said the document "first and foremost recalls the mercy and compassion of God and not just moral norms and canonical rules." The patriarch said it was no accident that the pope’s letter, Amoris Laetitia (“The Joy of Love”), was released in April, about the time he and the pope went to the Greek island of Lesbos to meet with refugees. Patriarch Bartholomew said Pope Francis, like the early fathers of the church, did not shy away from sensitive questions, but “their point of departure always is the loving and saving grace of God, which shines on every person without discrimination or disgust.